Welcome to Drone Print! In this series, we find and print awesome designs that we can use with our drones or add to our gear bag! 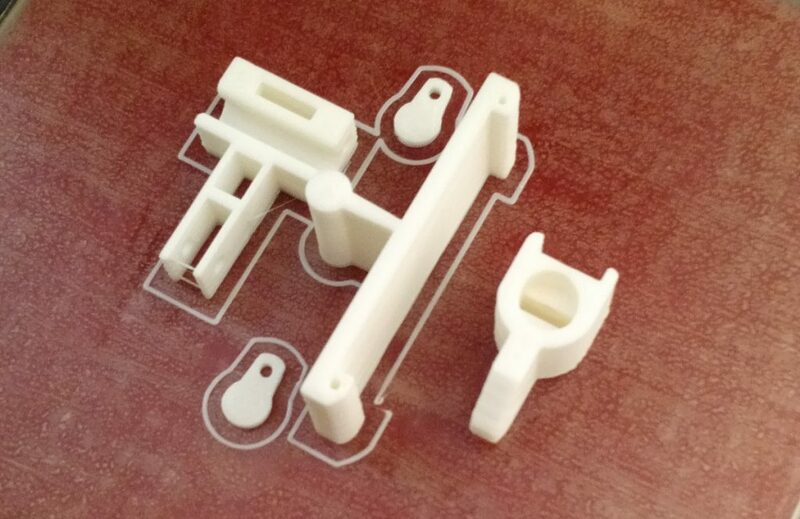 We overview why we selected the design, show the print process, and finally review the outcome. Hopefully this series can help you find some cool components to add to your backpack. 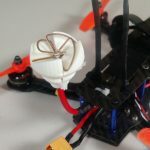 Interested in reading more on 3D printing and drones? Check out this article where we go over all the basics! 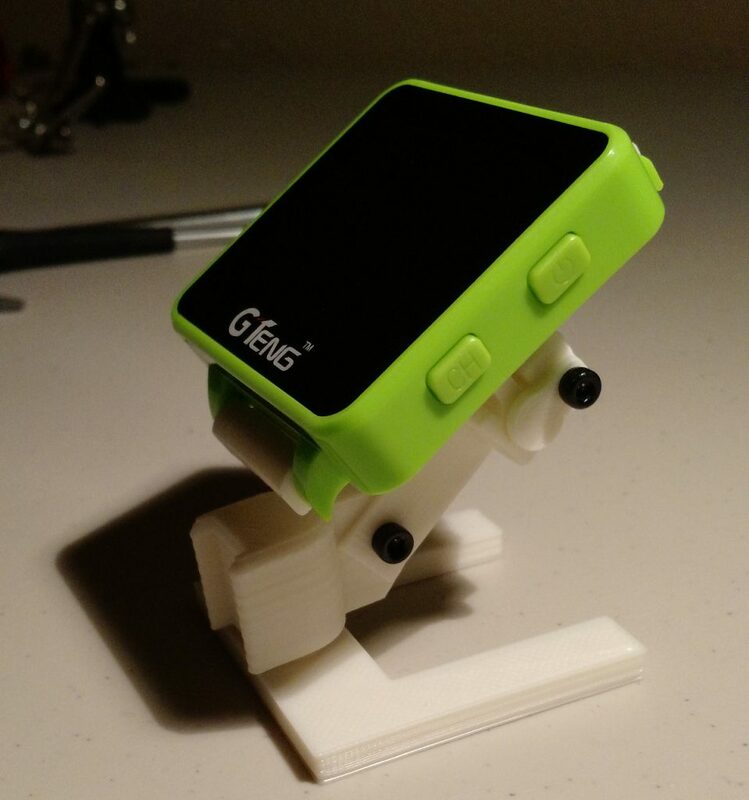 This time, we are going to print a mount for our GTENG FPV watch. Curious about why the heck you would ever buy an FPV watch? Check out our review here for more details! When we first received the GTENG watch, I was a bit skeptical. Who would wear a watch and use it to fly? 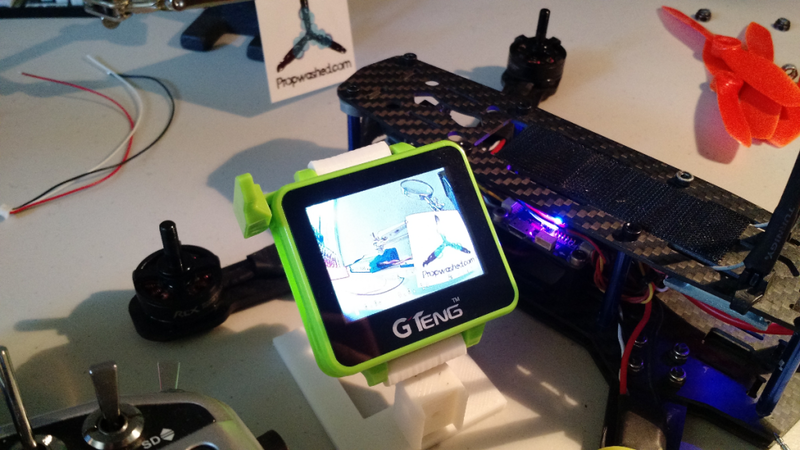 Initially, we figured we would review it assuming the use case of spectating at an FPV event. 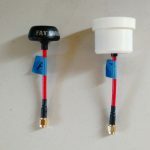 As we continued to play with the GTENG, we came up with two interesting ideas for it – a Tiny Whoop transmitter monitor and a VTX repair companion. We talk about this in more detail in our full review. If you haven’t checked that out, give it a read first, and come back after! To create the Tiny Whoop monitor, we needed a mount. At first I figured this would require me to model something custom. Surely nobody else has thought of using this tiny monitor as a transmitter mount, right? Well…that was easier than expected! As usual, there are no original ideas and the internet proved me wrong. A quick search on Thingiverse later, and I found the perfect mount. It requires a few extra parts, namely M3 nuts and bolts, but that shouldn’t be a problem. I have a ton of these lying around for replacing missing frame bolts, so sourcing these is non-factor. As a side note – definitely check out our spare parts list. Having a healthy supply of spare components can be useful for not only repairs, but also fun projects like this! Our print of choice – this is exactly what I was imagining! So, with the files downloaded, lets fire up the printer! First things first, we need to remove the GTENG watch from the rubber wrist straps. This is easily done using a thin edged tool – a small flat head screwdriver, knife, or tweezers should work. For this process, I used an EXACTO knife. Insert your tool of choice at one side of the wristband where the plastic meets the rubber. If you look closely, there should be a notch in the metal rod that holds the wristband in place. 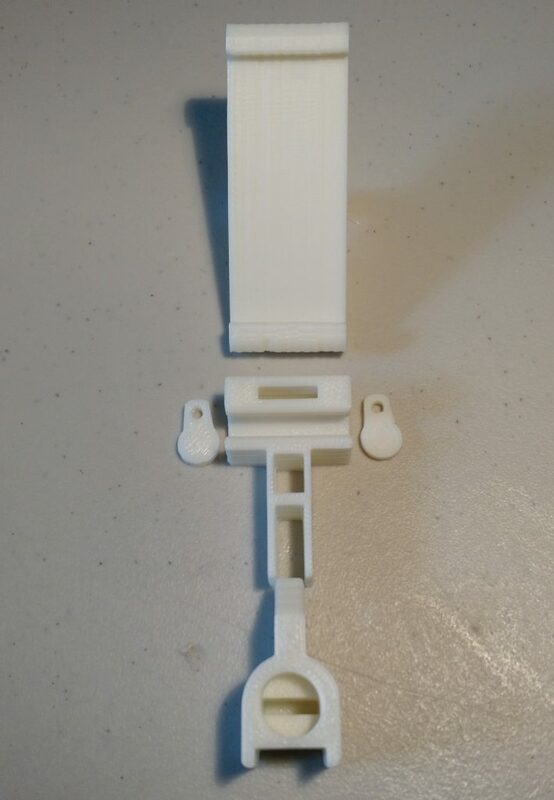 Align your tool between the plastic and this notch, and push towards the opposite end of the wristband. This should pull the rod out from the plastic. Once released, you should be able to pop the other end out by pulling the rod. You can now store the wristbands somewhere for later use, or discard them. See those notches on the metal rod? Push those towards the opposite end of the band to pop out. Save the metal rods – these are going to be used to mount our monitor onto our 3D print! Onto the print! 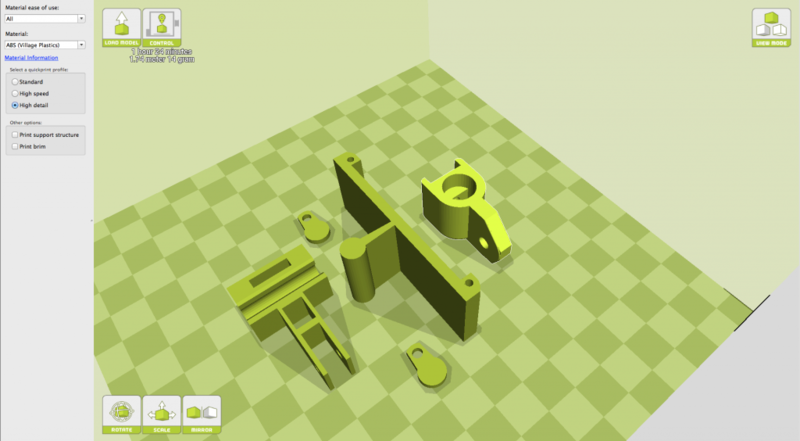 Once downloaded, lets pop the pieces into Cura. 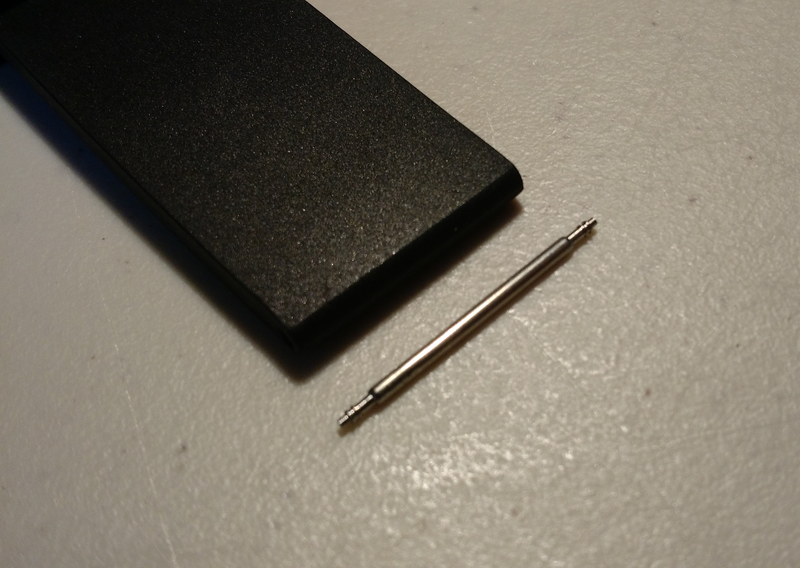 Worth noting – one piece is duplicated: the part that connects to the transmitter also has a 90 degree option. Pick one or the other, as you don’t need both. All our parts printing at once. I like to live dangerously. Everything fit nicely within Cura. I had no issue printing all the parts from the default positioning they loaded into Cura. Nice! Finished pieces from one print session – success! 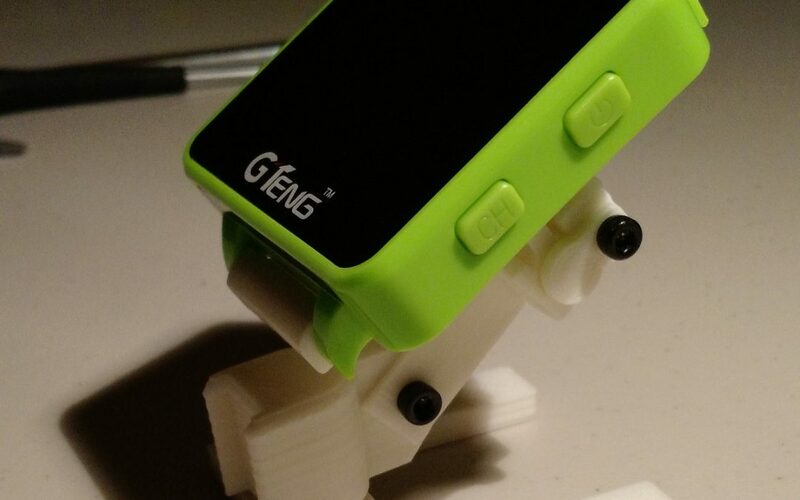 Assembling the GTENG FPV watch mount! Now that everything is printed, we need to assemble the components! 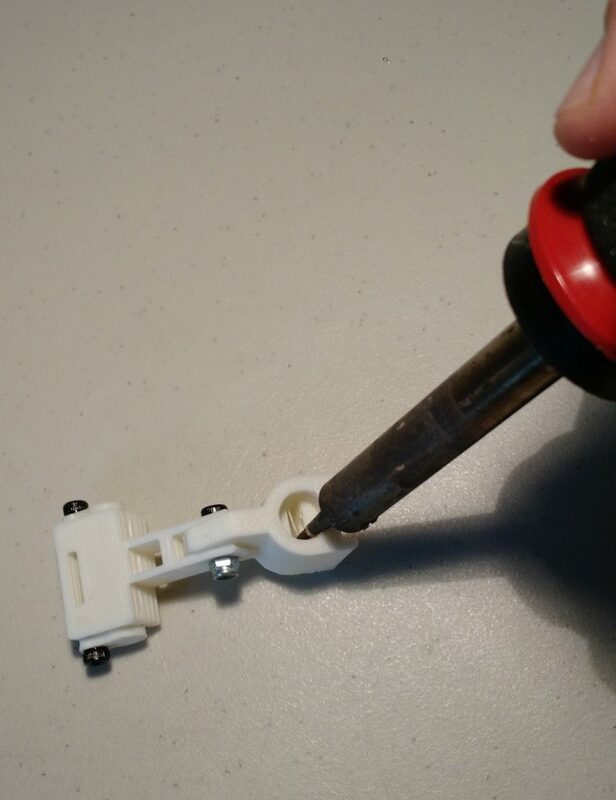 This may be a bit confusing, as the Thingiverse page doesn’t have a great explanation for how everything fits together. 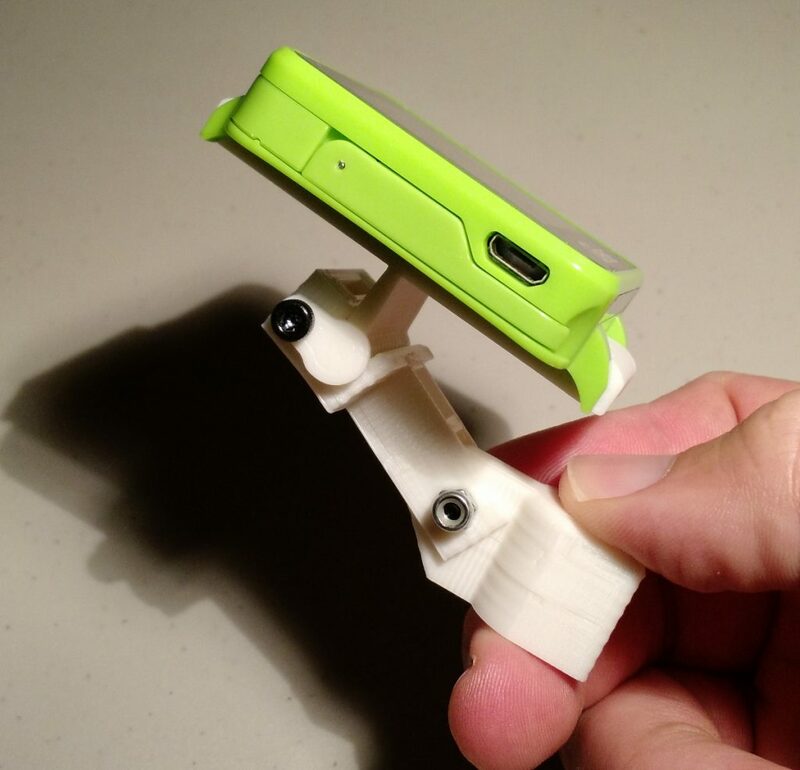 Here’s how the parts fit together without hardware. ….with loose bolts in place to show mounting points. One note: the metal rods can be a little difficult to feed into the plastic. They fit well, but I found them difficult to press through without poking my fingers. To help, I used a small hex driver to slightly widen each hole, and used the flat edge of a knife to push the rod through the hole. This made the process much easier on my poor fingers. Finished! Everything fits together very cleanly and looks great! While the print fit on my Taranis, I noticed it wasn’t completely snug. To fix this, I used my soldering iron to widen the channel where the neck strap connector meets the printed plastic. And with that, we have a mobile Tiny Whoop transmitter and monitor! Great for sharing with friends interested in getting into FPV who have limited flight experience. Creating a stand for the mount! But what about the VTX repairs I mentioned earlier? Well, after using the mount for a bit, I had the idea of making a base stand so that I could set the monitor flat on a table. Since the metal rods are somewhat of a pain to remove, I wanted a stand that I could use with the current mount setup. The easy solution? Make it myself! 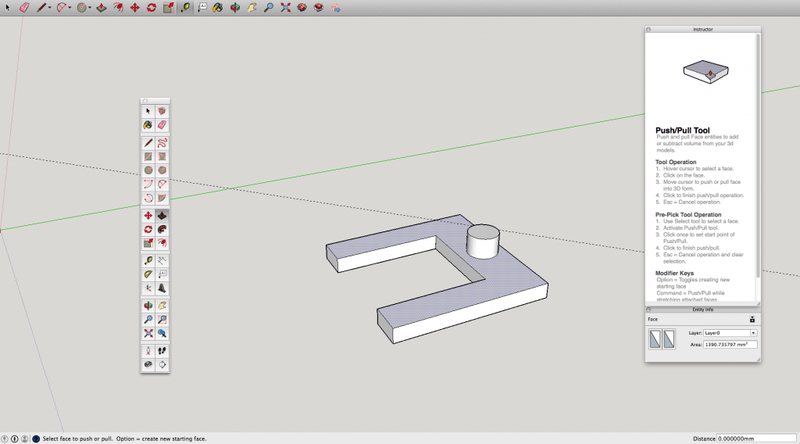 I booted up SketchUp and quickly created a base stand with a nub that would fit into the GTENG radio mount. It works great! Now I can easily remove the monitor from my transmitter and have a place to store it safely until I want to use it again. 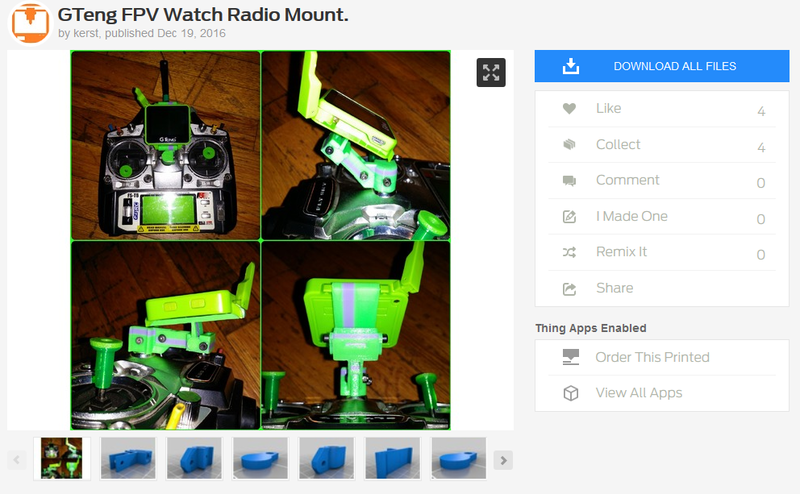 Moreover, I can use this mount + stand setup for VTX repairs. Tune into the channel of your quad, set it over to the side, and get to work! When you need to check the camera, just glance over to your monitor! Much easier than goggles! All in all, everything printed out great, and I was able to do some 3D modeling of my own in the end! I was shocked how well the print turned out. 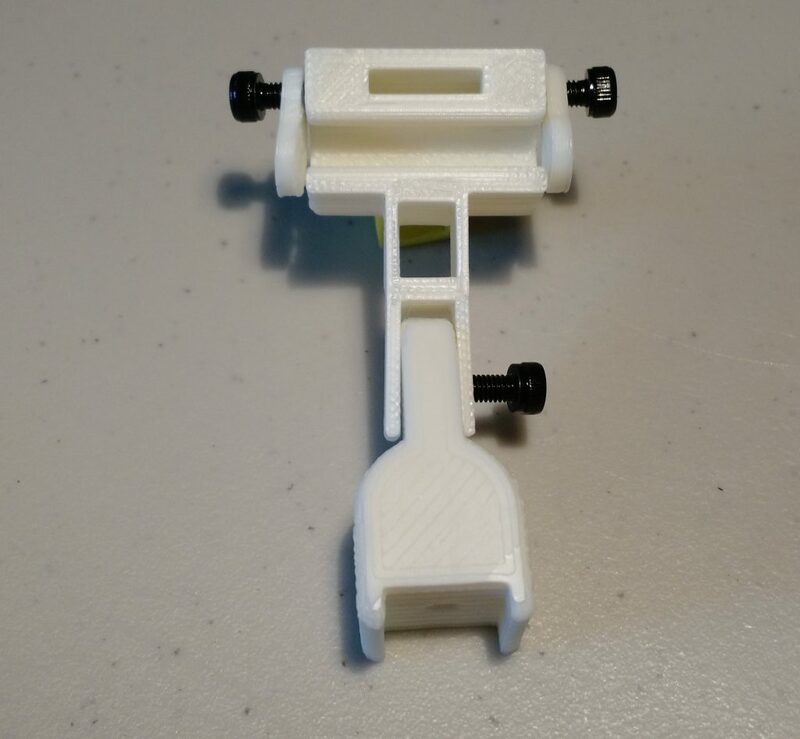 It was exactly what I was looking for, simple to print, and surprisingly easy to assemble. The few modifications that I made were minimal, and more for quality of life rather than out of necessity. I used the mount over the last two weeks, and have enjoyed it immensely. Being able to hand someone just a transmitter is so refreshing when flying micro quads indoors. You don’t need to pass around goggles and other accessories – love it! Similarly, it is so easy to travel with just the micro quad and transmitter when heading to a friend’s place. Moreover, the table stand works great! I had to do some VTX work this week, and it was amazing checking the camera while actively working! Usually I would set my tools down, pick up the goggles, and look at whatever I was doing. With the GTENG and stand, I could just keep the feed running and glance at the monitor as needed. If you pick up a GTENG watch, be sure to grab this print. It definitely extends the use of this great little FPV monitor! 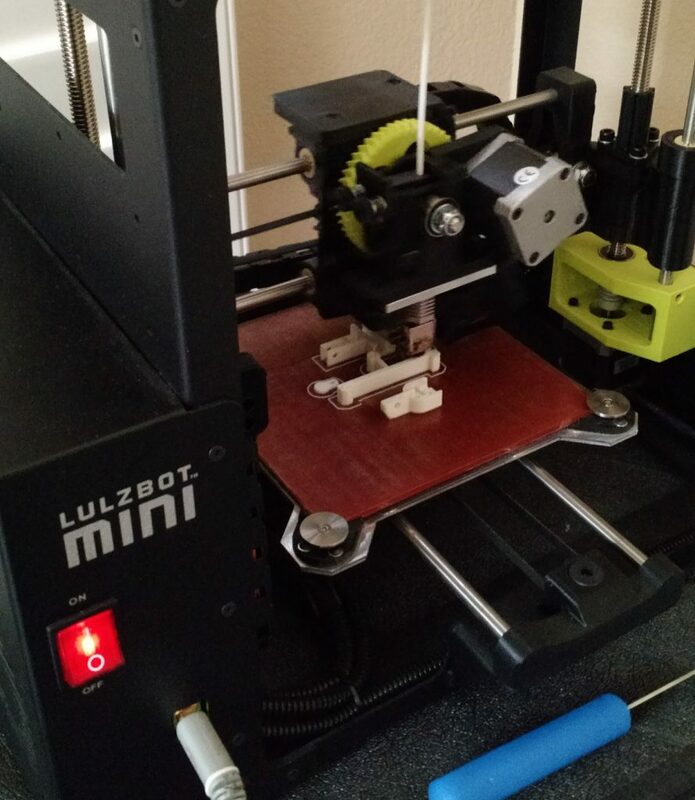 Post print adjustments: Requires 3 M3 bolts and 1 M3 nut to secure pieces together. Soldering iron used to widen interior transmitter neck strap piece. Thanks for reading! If you want more Drone Print, you should follow us on Instagram! 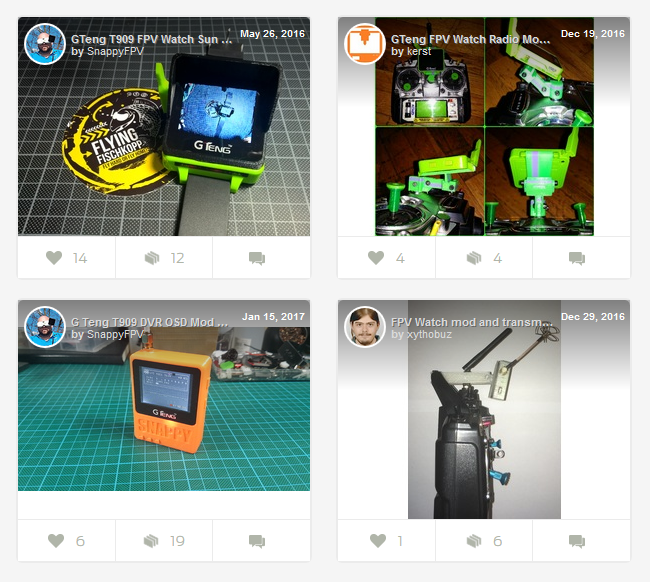 We post a ton of drone related pictures, including our most recent 3D prints! You can also join our Facebook group, where we share designs and printing ideas daily! Questions? 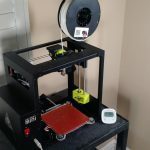 Check out our FAQ for information on our printing setup and how we reach our cost assumptions. Feel free to leave a comment below if you have any additional questions or recommendations! If you print a design that we talk about and want to share it, make sure to tag it #DronePrint so that we see it! Next Drone Print: FPV antenna case! Drone Print 3: Antenna Protector! Drone Print 2 – Prop changer! 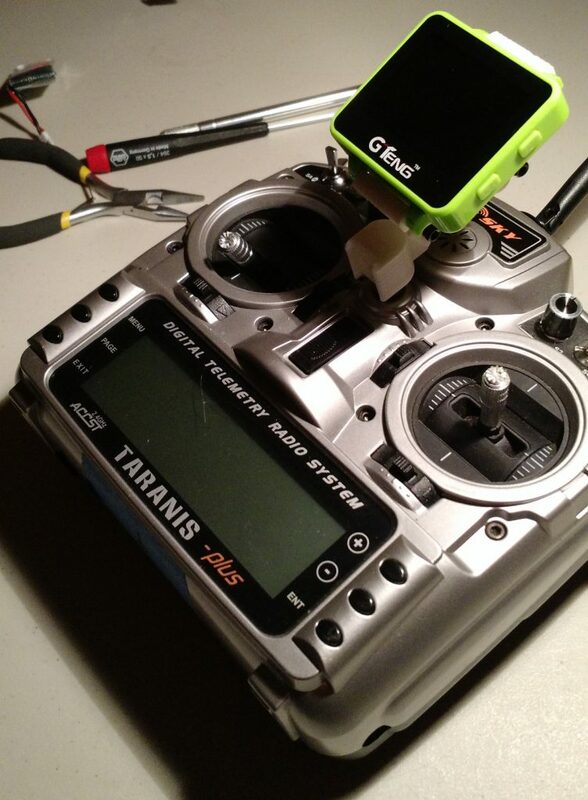 DronePrint 1: Taranis gimbal protector! 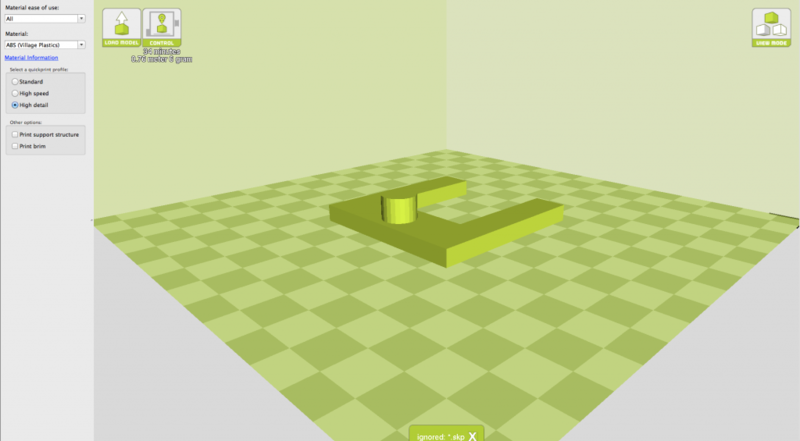 Introducing Drone Print – Drone 3D printing!